The 2017 Tournament was held fro, October 19-22. Athletes from around the United States competed in all skill levels as well as Unified divisions. Illinois sent a group of athletes to experience this fantastic event. Through the trip, the team has bonded even more and we was able to experience quality competition that they otherwise would not be able to find. Our athlete’s have really improved their skills through this experience. 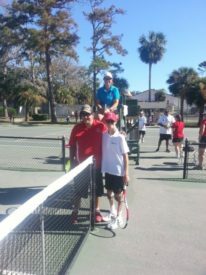 In fact, five of them have been rated in the Top 32 of all US Special Olympics tennis players for the past several years. Plus, Matt and Bob have been chosen to represent Illinois as the Unified Doubles team in the 2018 Special Olympics National Games next July in Seattle. Ryan won Gold in his singles division and won the Sportsmanship Award for the tournament. Brent took Bronze in his Singles division and, with Ryan as his partner, took Silver in traditional doubles even though they had never even had the chance to practice together. Nick won Gold in both singles and unified doubles in the highest division (5+). He was also chosen to play with the Pros who did an exhibition at Opening Ceremonies. The luck of the draw meant that Matt and Nick met for the championship in the top division, with Matt taking Silver. Ryan was presented with a new racquet as the prize for his Sportsmanship Award. Justin took part in the yoga portion of the Healthy Athletes program. 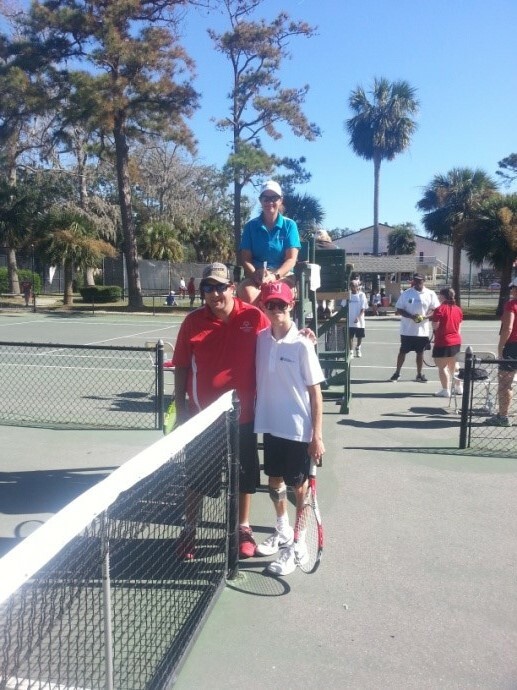 He won Bronze in his singles division and along with his partner, took the Gold in Unified Doubles. 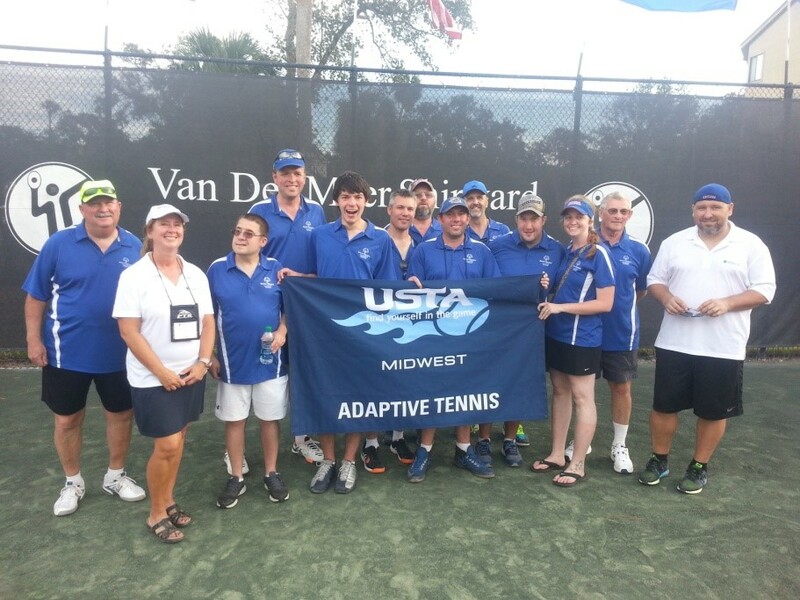 Kevin took Silver in his singles division and, with partner, Jerry Kahsen, took Gold in his Unified Doubles division. Ellen took Bronze in her Singles division and Bronze in Unified Doubles with her dad, Tom. Matt and Nick met again in the championship for the top Unified Doubles division. Nick and his partner, Milan, bested Matt and his partner, Bob, in a tight match with some exceptional shot making.